As a small business owner, growing and showcasing your online presence can be challenging. Creating a website which matches the look and feel of your brand requires attentiveness. You can make the creation process of your business’ easier. Simple WordPress themes for business allow you to create and change the entire design of your site in one click. In this article, we will help you filter through overwhelming choices and share our sources for the best WordPress themes for business. 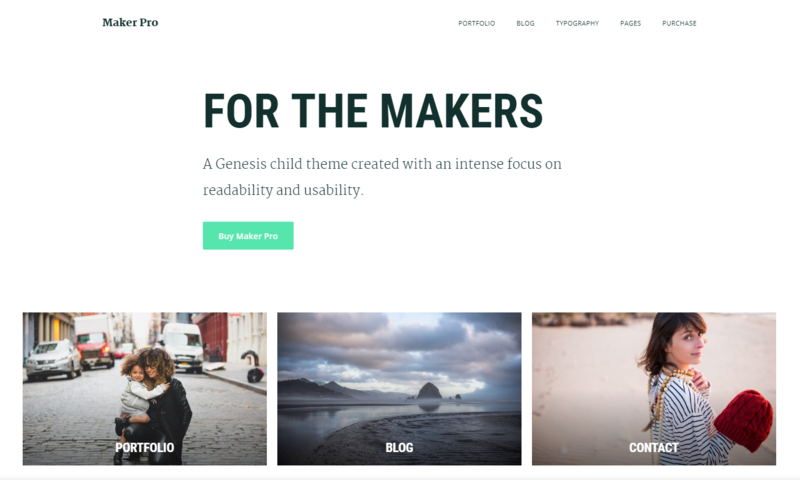 The following is a list of some of the top-rated, best-selling themes from some of the biggest providers of WordPress themes. If you choose an option from this list, you’ll get a quality product that’s gone through lots of functional testing (due to the sheer number of people who use it and report issues that are then fixed). 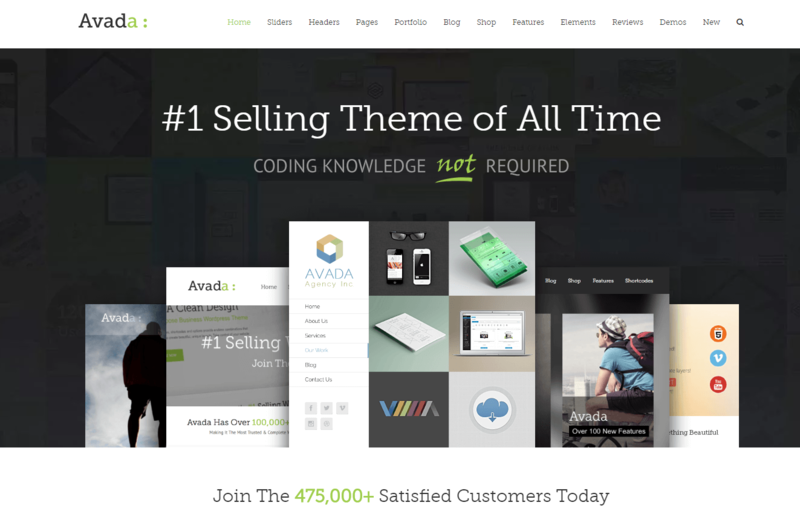 The #1 selling theme from Envato’s ThemeForest is Avada, a responsive, multi-purpose theme capable of meeting the needs of many different types of businesses. With Neve, a website could truly become anything from a news feed to a collaborative forum. We chose an option that could support any number of uses and features a sleek, modern design — in an industry as fast-paced as technology, an outdated design just won’t do. Neve, created by those at ThemeIsle, is a good option for businesses or individuals seeking to share information, facilitate collaboration, and more. It’s backed by top-notch support, offers multi-language support, is SEO-friendly, and optimized for speed. StudioPress’ Infinity Pro Theme is a stylish and modern option that is geared toward digital businesses. This theme is ideal for those looking to create a simple online presence. Minimalists will find StudioPress’ Monochrome Pro Theme appealing. 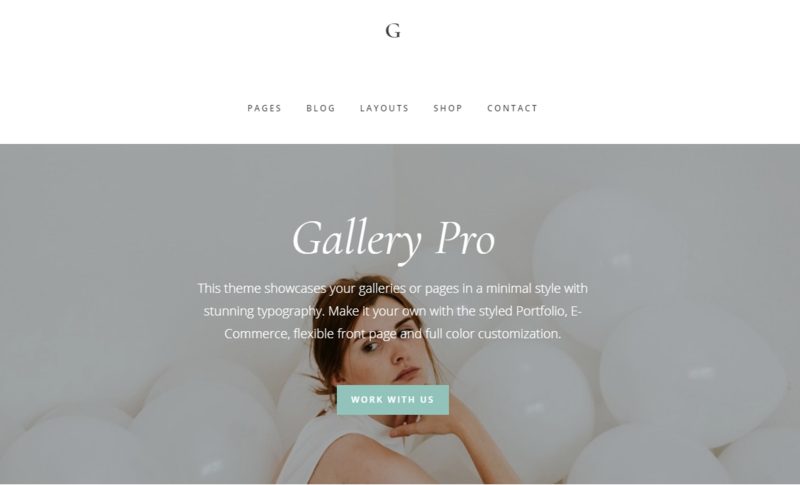 This theme makes a visual impact using white space and typography, and its simplicity means that it is easy to use. Anyone looking for a trendy, quick-to-set-up theme will benefit from Monochrome Pro. Another top-ranked theme from Envato’s ThemeForest is Enfold, which is another responsive theme that can be used for many different purposes. More, it is incredibly quick to create a good looking website. For a website with awesome visual impact, consider Template Monster’s Monstroid, a Parallax theme that is almost infinitely customizable. If you want to impress by looks and design with the freedom to make your website look a certain way, Monstroid does the job. Template Monster’s Imperion theme is a business theme offering clean, professional-looking variants that can be changed easily with the included drag-and-drop editor. No confusion or complication, simply front-end building, and visual editing. Imperion is an excellent theme choice for those looking to avoid computer code. In the section above, we focused on general-use themes that could be modified to support business websites in all industries. However, one size generally doesn’t fit all, so the following options are customized options for WordPress designed to appeal to users in a specific industry. Looking to get property listings online? Picking a real estate-specific theme could be the way to go. 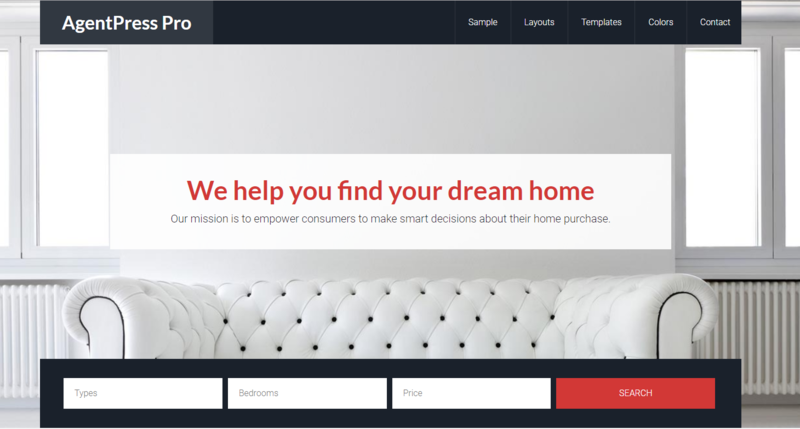 When choosing a theme, you’ll want something that supports lots of images, provides you with features to display property-related details neatly, and offers catalog-style pages so your users can skim your listings quickly and easily. StudioPress’s AgentPress Pro offers you all of the above in a clean, minimalist design that lets your properties shine. Another good theme to consider for real estate businesses is Real Spaces, a highly rated theme by Theme Forest customers. With high customizability and a seemingly friendly administrator dashboard, this theme is a solid option for those looking to avoid coding a high-functionality website. If you are a business owner or a freelancer looking to showcase your professional services, consider the following themes. Whether you are a one-man show or a digital agency in the midst of getting online, the Business Pro WordPress Theme packs the tools to get started. The theme offers a variety of layouts including centered content, sidebar content (left or right) or full-width content. The built-in logos make this WordPress theme ideal for agencies looking to present services. Interactive content, including videos, can likewise be embedded on all pages which allow the website to give off a professional feel. If you’re in a non-creative industry, you might only need a simple, single-page website that features your biography (or a short summary statement), your resume, and your contact information. Hired falls into this category. If you’re in a creative field, you might seek something that allows you to create visual displays of work that you’ve completed in the past. Furthermore, this is a time where you want to stand out, so the ability to customize your theme so that you don’t blend in with everyone else would be nice. That’s why ModernTheme’s Hired caught our eye — it is a free option that allows you to display your resume and contact information in a way that won’t hold you back. The templates are clean and beautiful, and its cross-browser support and responsiveness mean that few (if anyone) should have problems viewing your website. Consulting fields would do well with single-page websites where crucial information (namely contact-related details) are displayed prominently, along with possibly a link to your resume or CV. Your overall goal is likely to demonstrate that you are experienced in your field, but you won’t have many (non-text) samples, so visual displays aren’t necessarily a priority. With that in mind, consider StudioPress’s Authority Pro theme. As its name suggests, this theme is great for showcasing your knowledge and experience, while providing website visitors with a way to get in touch with you. It’s not super flashy, but it oozes professionalism. 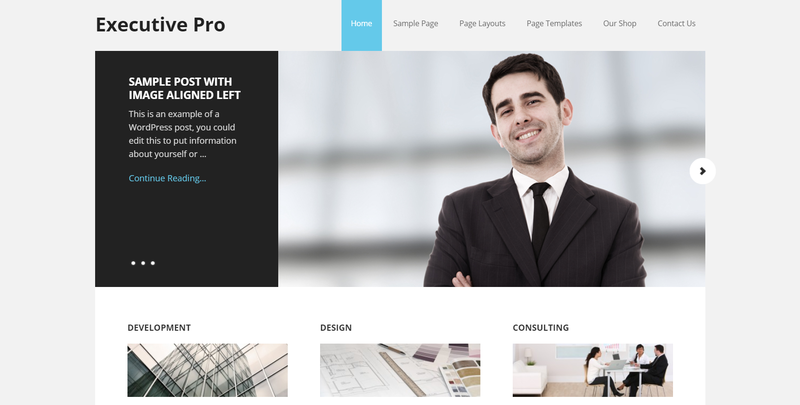 Another professional theme by StudioPress aimed to create a well-structured, sophisticated website is the Executive Pro Theme. Executive Pro is a strong choice for anyone looking to showcase a well thought out approach in their work. Freelancing is a wide field, encompassing many industries and MakerPro suits anyone looking to present their skillset. When choosing options for this field, we opted for general, multi-purpose options that can be modified for users in creative fields, as well as users in more traditional fields (like consulting or law). StudioPress’s Maker Pro Theme offers you a way to brand yourself, showcase your background, and display images (and other proofs of concept) for work you’ve done. The proof is in the pudding, and you won’t be lacking for space to show and tell. If any catering professionals, restaurant or cafe owners are searching for a simple theme to exhibit their menus, look no further. As a popular child theme of the well known Genesis theme, Cafe Pro is a go-to WordPress theme for restaurateurs and caterers. Cafe Pro is a fully responsive theme and would suit any restaurant owner looking to gain an online presence. StudioPress offers comprehensive documents and self-help material on how to set up and use this theme. For those webmasters wanting direct help, support agents are also available to answer direct queries. 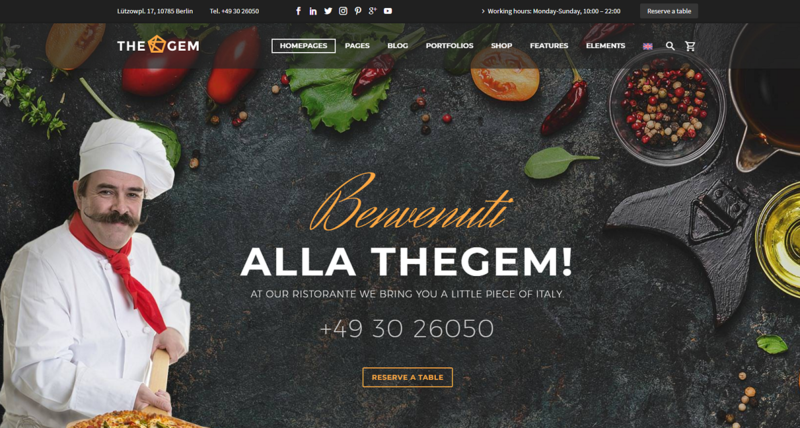 TheGem is one of many ways you can go if you are building a website for a restaurant. Photo galleries so you can display pictures of the food you serve. ThemeForest’s TheGem is a theme geared toward creatives, but its ample space for photos means that you can display copious amounts of food pictures. You can also use the creative layouts offered to display menus in creative ways. You don’t necessarily need to subscribe to an e-commerce platform or software to set up shop online. Explore the below themes made for e-commerce businesses. Product templates so you can provide in-depth information about the goods you’re offering. ThemeForest’s Jayla is a WooCommerce theme that meets these requirements. It comes with product display pages, as well as in-depth product descriptions. More importantly, it is a well-designed theme that offers you a lot of useful features that help you build the online store you want. Its drag-and-drop editor, as well as header and footer builder, mean that you can craft an aesthetically-pleasing site without writing a single line of code. Jayla also supports a number of integrations so that you can add even more functionality to your store. WoodMart is another responsive WooCommerce theme. The template library consists of 300+ samples with over 50+ demo setups available upon downloading the theme. Further functions include a built-in mega menu and drag-and-drop builder. Great photos are not enough to get work as a photographer, a worthy portfolio is part of the game. Here are some themes to consider to display those unique shots. Pictures, pictures, pictures — if you’re a photographer, you’ll want the ability to manage a large number of photos easily with Gallery Pro. You’ll also want to make sure that the theme was optimized by the developer so that it loads well for your visitors. Images are notorious for slowing down page load speeds, so your theme should have features like delayed loading (e.g., don’t load photos until the user scrolls near that location) and image optimization. Furthermore, you might consider looking for something that offers the creation of private accounts so that you can display proofs privately to individual clients. One such option is StudioPress’ Gallery Pro. Listed on Theme Forest’s market, TwoFold is a simple yet stylistically outstanding theme created for professional and aspiring photographers looking to showcase their portfolios. With 11+ ready-to-go homepage layouts, TwoFold further offers customizable gallery and album templates, blog functionality, Lightbox integration, and video support. The theme allows users to integrate an online store too. If you are still stuck with choices, another incredibly simple theme to consider for a basic online presence is Minimum Pro by StudioPress. It is responsive with simple features like blogging, widgets, and galleries. For those looking for a no-fuss way to share personal or professional information online, this is the way to go. What is the best WordPress theme for business? Unfortunately, there is no one theme that is the best WordPress theme for business. The best theme for you depends on what type of business you run, as well as what your goals are for your website. For example, the website of a physical store looking to sell some goods online will have different needs from a web designer looking to display their past work. In the end, if you know what you need but still find the numerous options available to you overwhelming, consider picking an aesthetically-pleasing multi-purpose theme that you can customize in the future. What’s the difference between Premium and Free WordPress themes? It depends. The only thing we can say for sure is the Premium themes typically come with a cost, while free themes are, well, free. When considering a theme, you’ll want to consider the support the developers offer the theme. Some free options come with free support (typically forum-based), while others do not. Most premium themes come with technical support, but again, this is not a hard-and-fast rule. 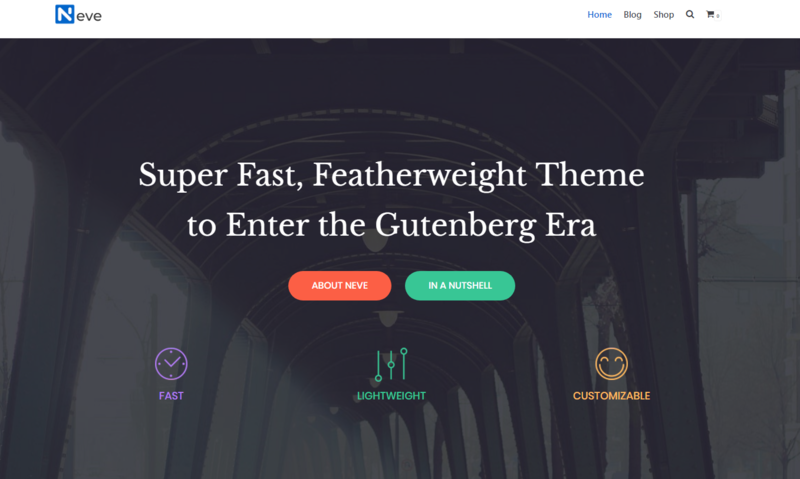 In general, though, we find that Premium themes offer a bit more — while they cost more, you get better design and more robust support in the event that something goes wrong with your theme. What is the best free WordPress theme for business? 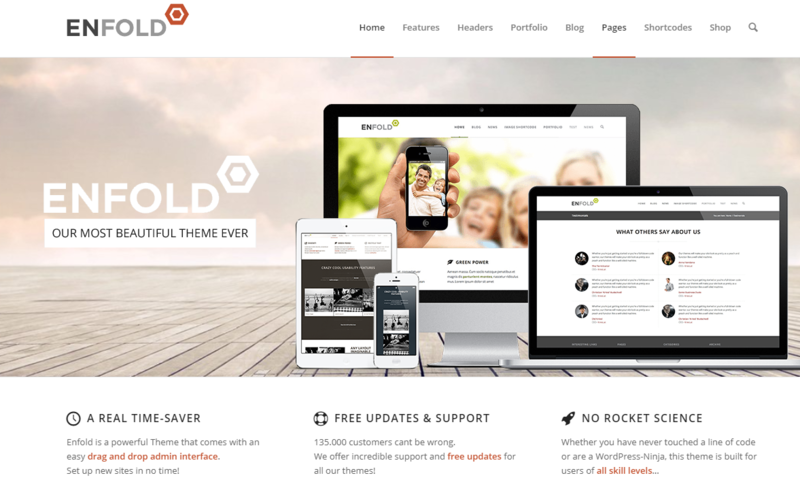 If we had to choose, we would opt for one of the free themes offered by Modern Themes. They are well-designed, aesthetically-pleasing, and can be used by pretty much anyone for any reason. How do I choose a WordPress theme for my business? First, what is your budget? If free themes are the only option for you, then you’ll have eliminated a fair number of choices from the pool. Next, figure out what your goals are. Are you looking to provide your customers with information about your physical store? If so, you might need a simple, single-page theme. Are you looking to sell things online? Then you’ll want something that supports e-commerce functionality. Are you looking to expand your online presence via content marketing? Make sure that you have access to social media integrations and blogging capabilities. Remember, you might have more than one goal for your site, which means that your theme will need to be complex enough to handle everything you do. Finally, look for options that reflect your brand. You can certainly modify themes as you see fit, but it’s best to choose one that you are mostly happy with from the get-go. Is WordPress good for a small business website? WordPress is definitely capable of supporting a small business website. The core installation comes with a robust number of features, but if you need more, you can easily find a theme or plugin to get you what you need. Moreover, the platform is free to use, which can be a boon to small businesses whose financial resources might not be as abundant. Building an online presence for your business can be challenging, but the WordPress platform, along with the perfect WordPress theme, can make this task much easier. WordPress Hosting: Which Company is Right For You? 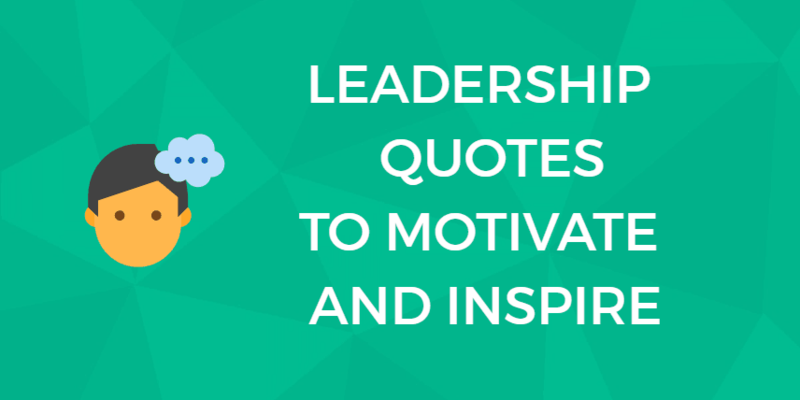 Previous: What Is a CEO Really – And What Qualities Make A Truly Great CEO?